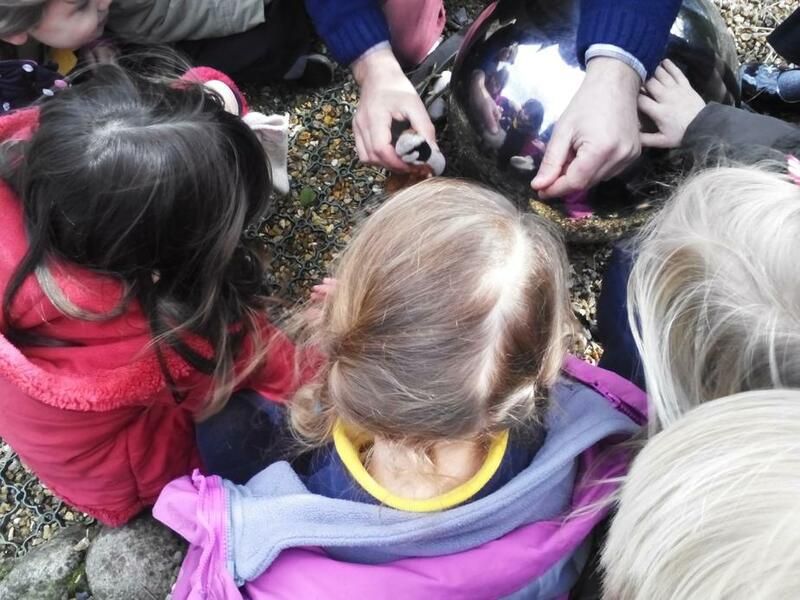 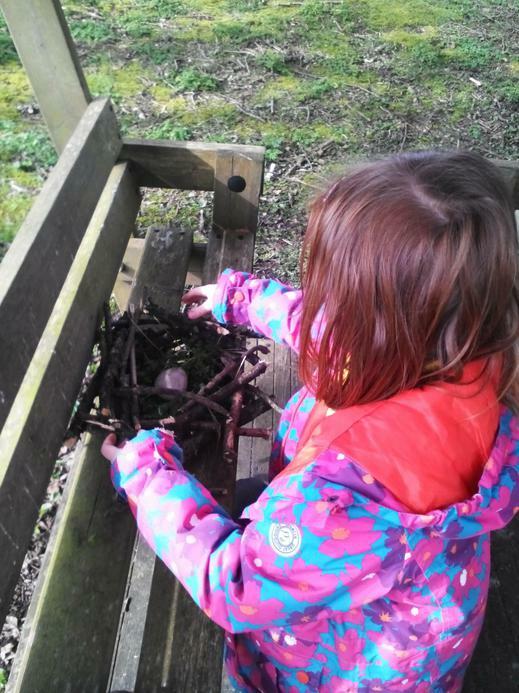 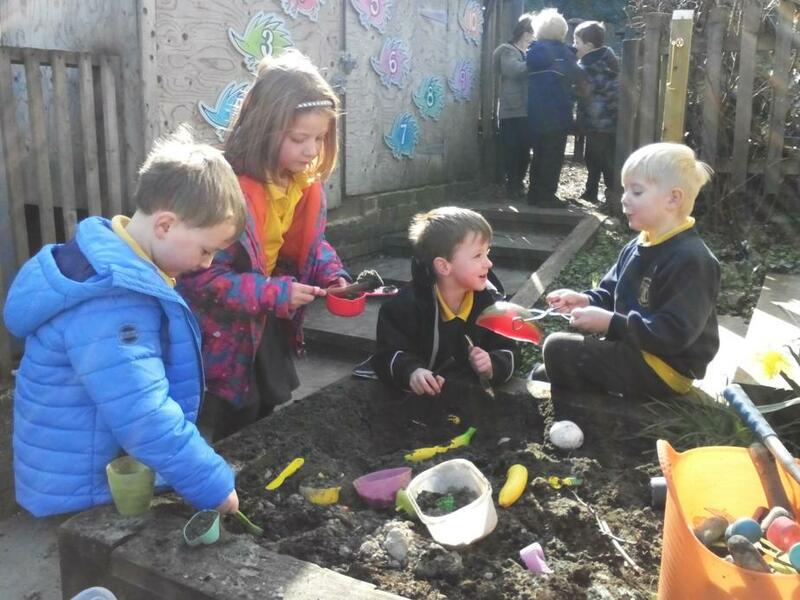 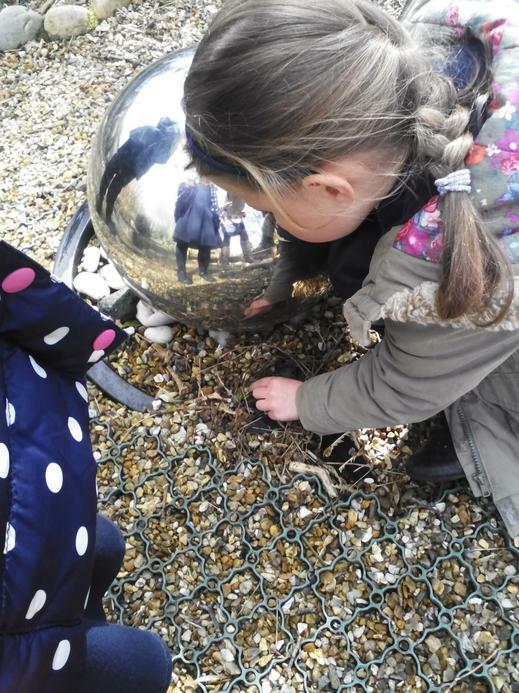 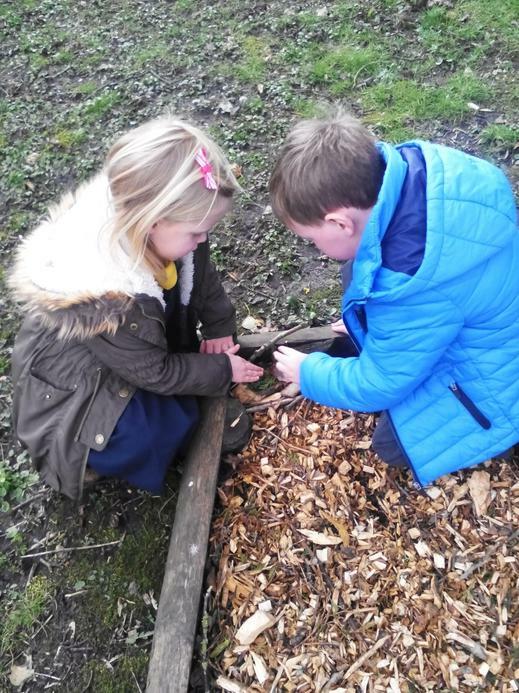 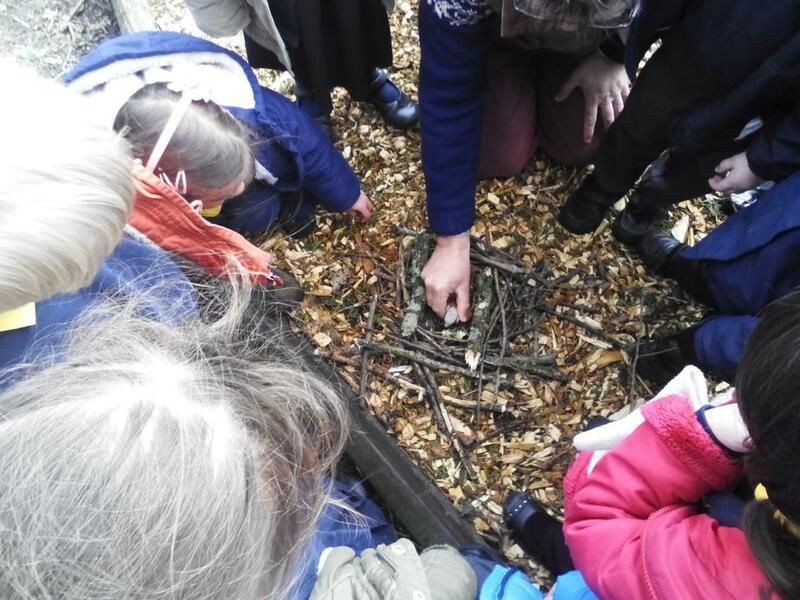 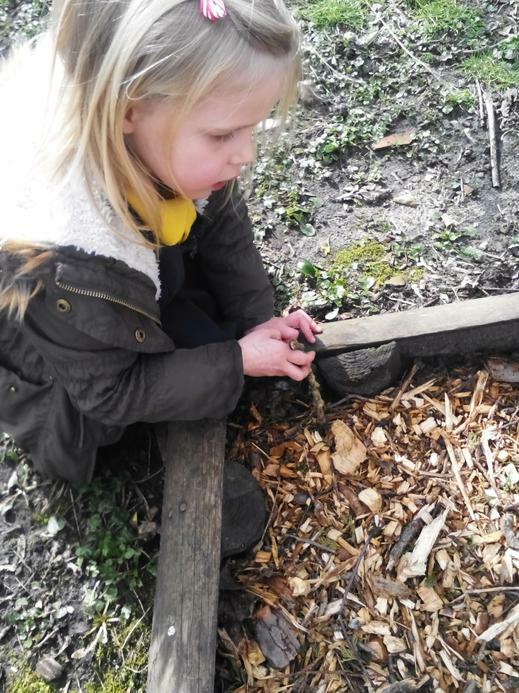 This week we have had lots of wonderful opportunities to learn outside. 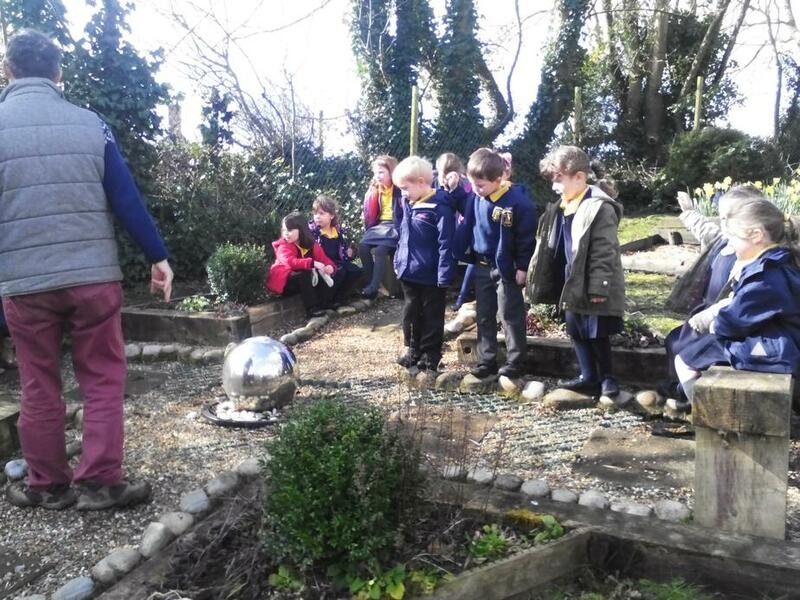 On Monday the sun was shining beautiffully and the majority of Giant Class decided to take their learning outside. 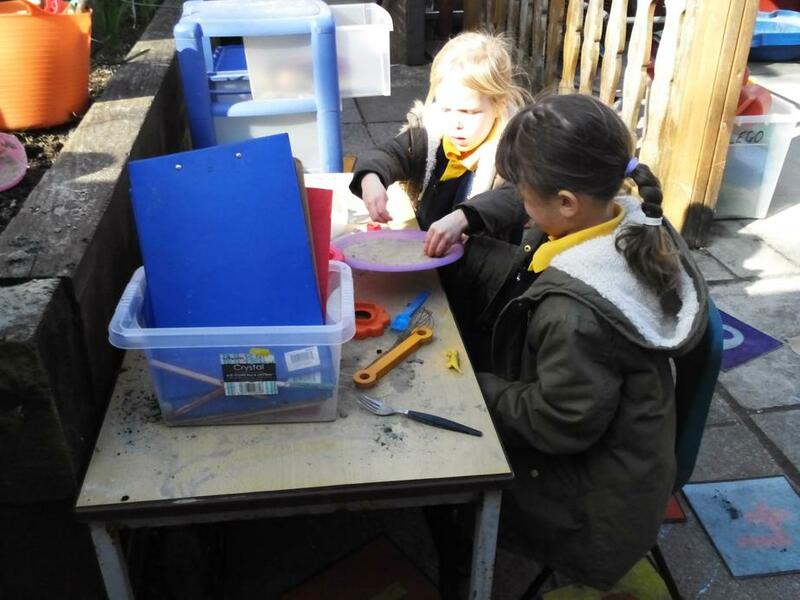 They all helped Miss Cook and Mrs Vine to move some things around and to clean and sort some of our learning resources. 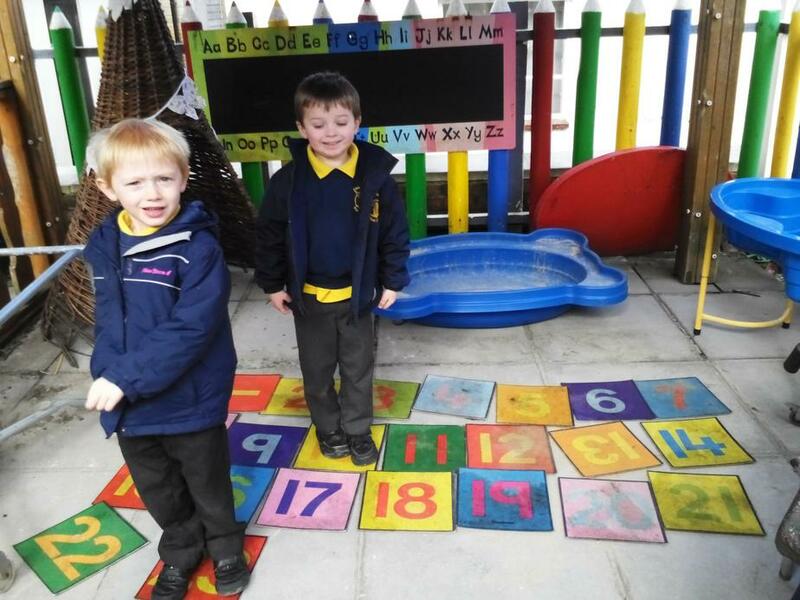 They were very co-operative and were excited to be able to help and be a part of their learning environment. 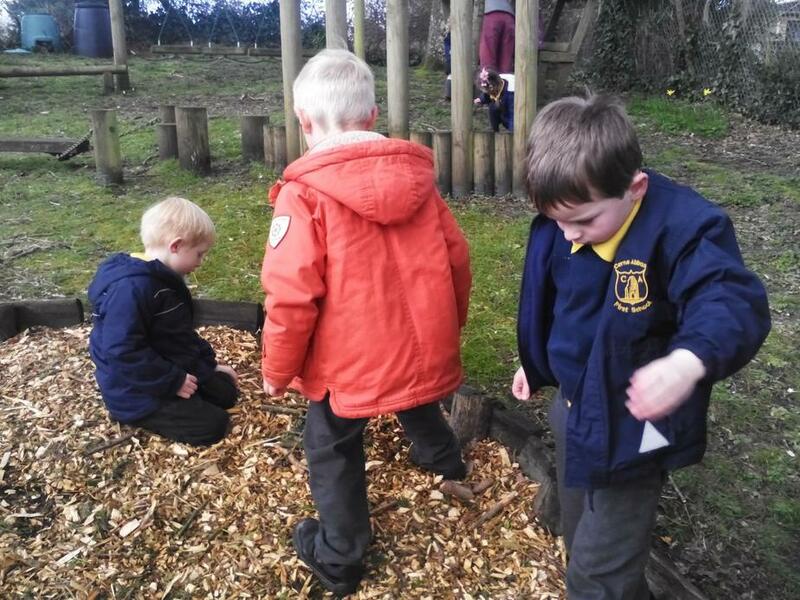 We have now talked about all helping to keep our outdoor area nice and tidy to help us learn outside. 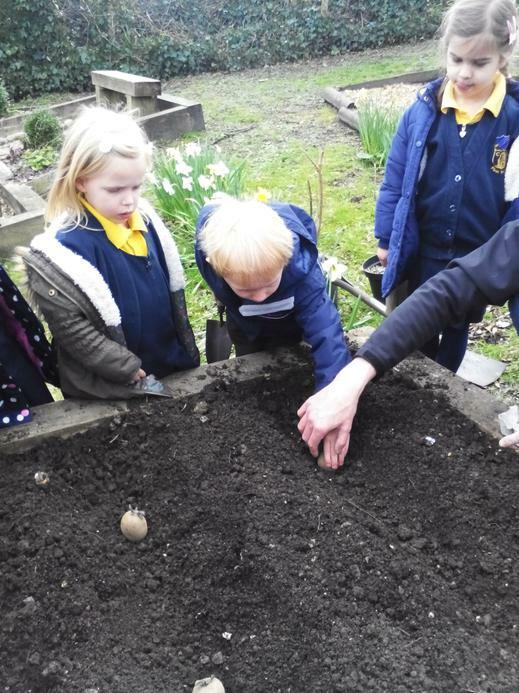 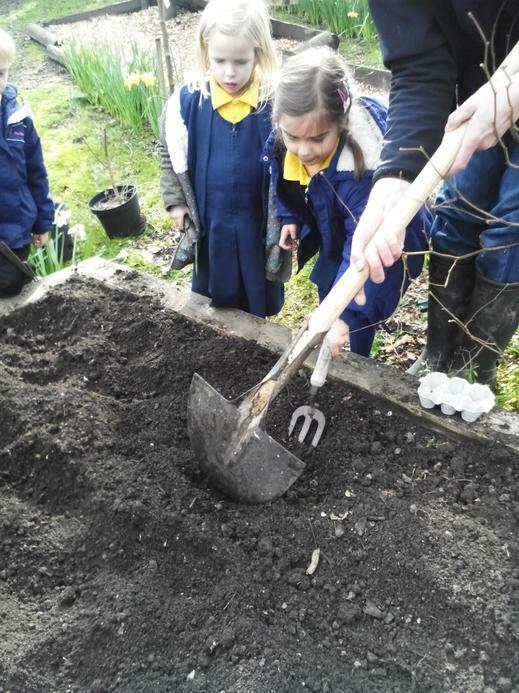 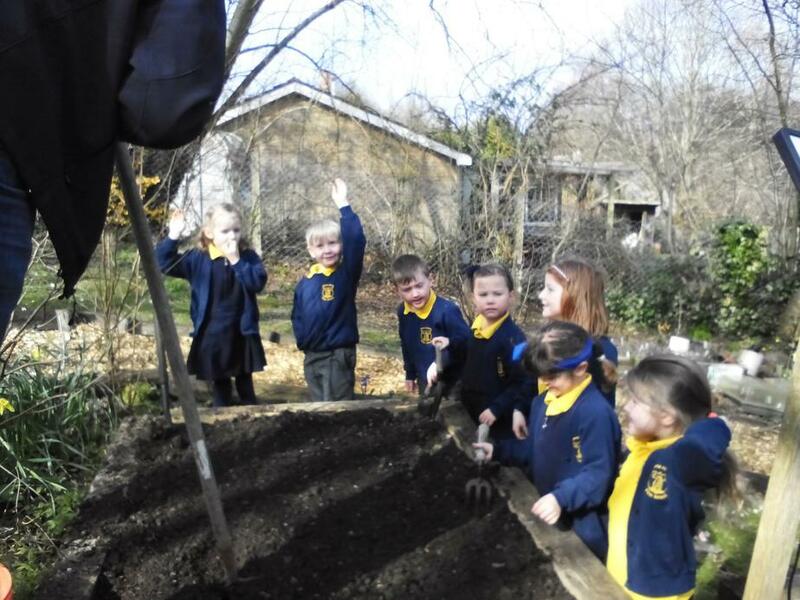 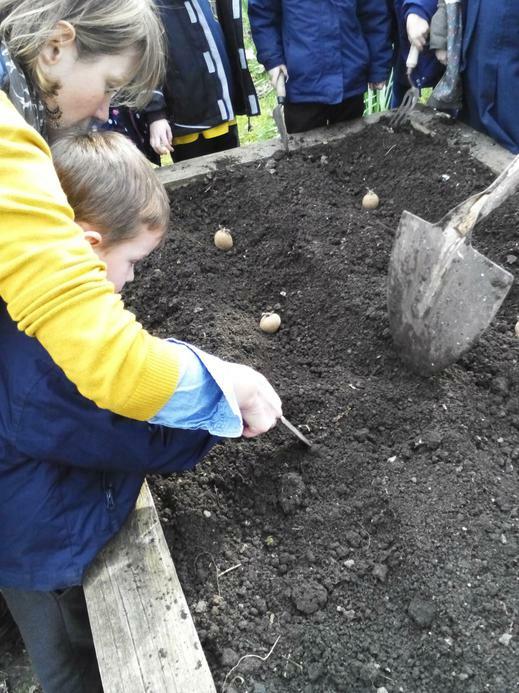 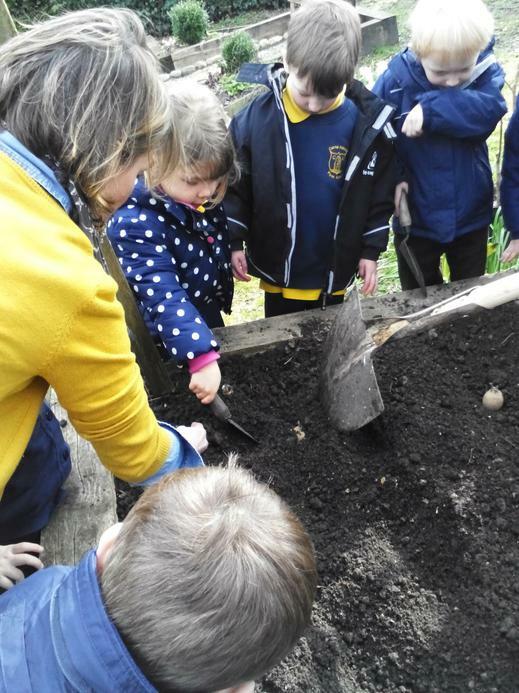 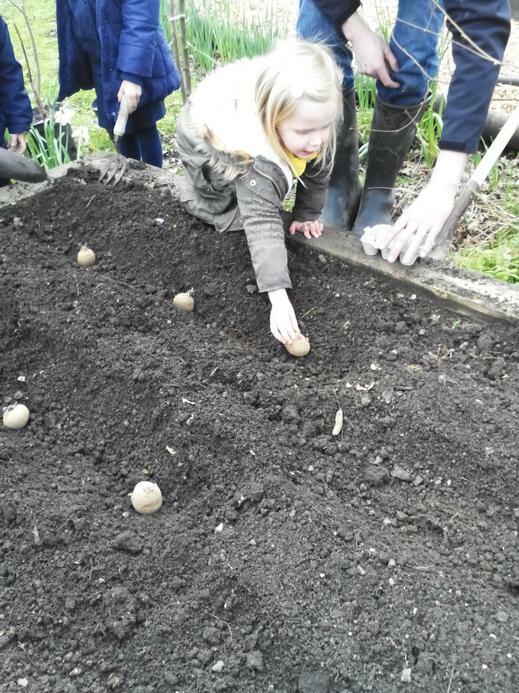 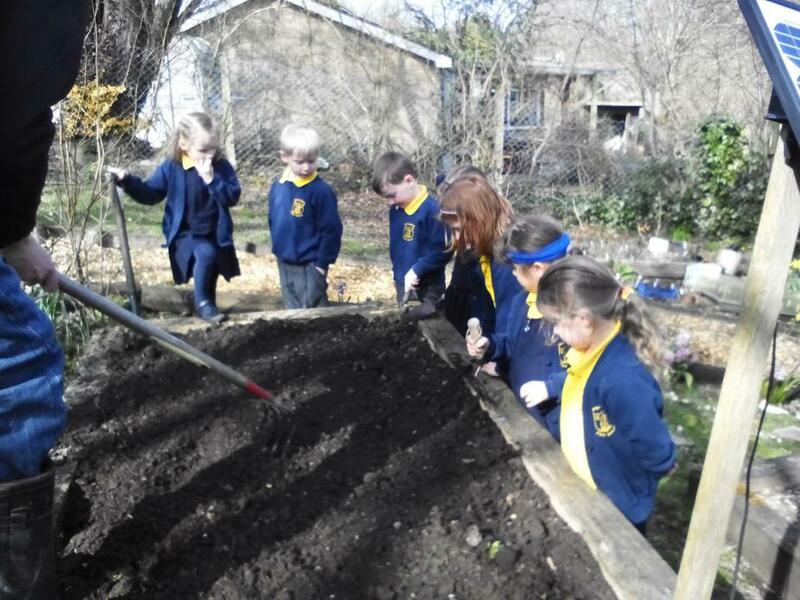 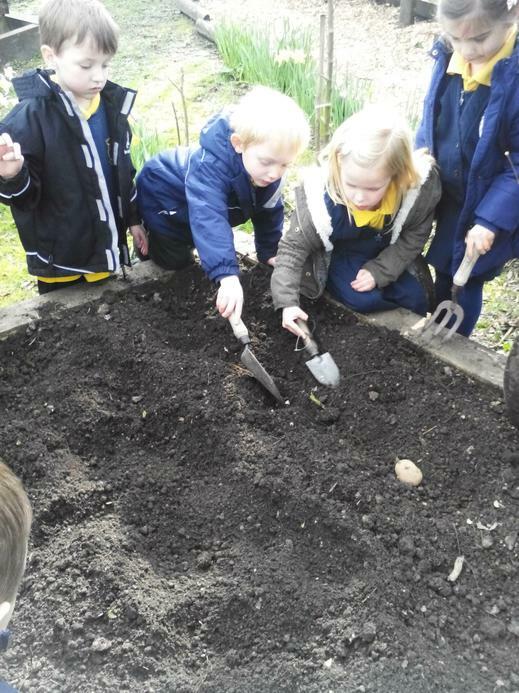 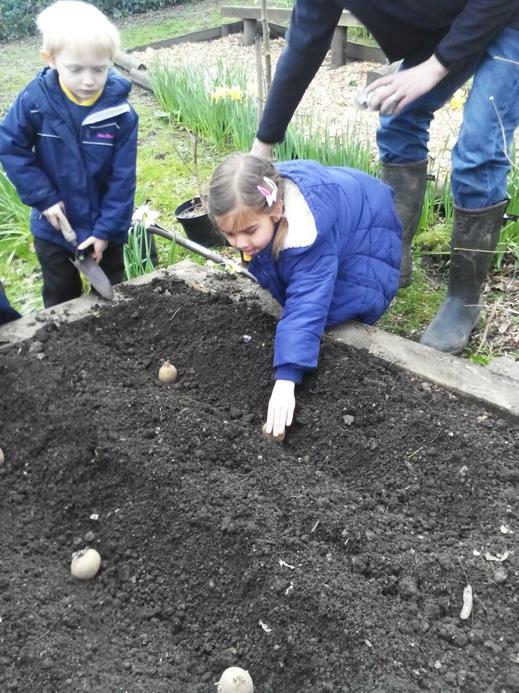 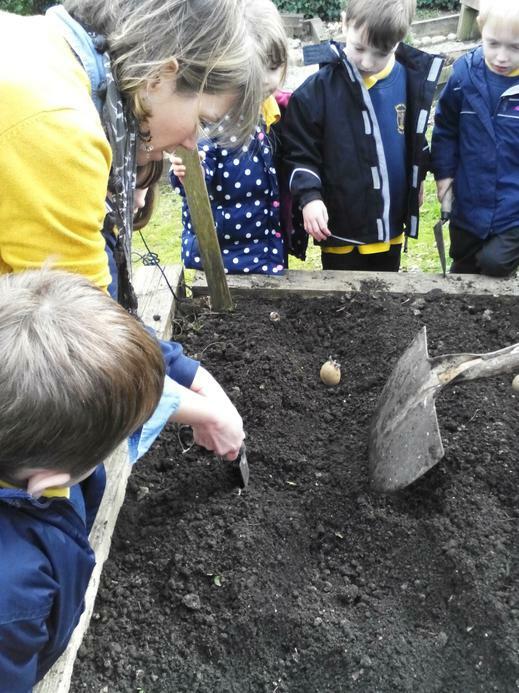 On Tuesday afternoon we were very lucky to have a visit from Mr Barrett who came with Mrs Barrett to help us plant some potatoes in our growing bed in the Peace Garden. 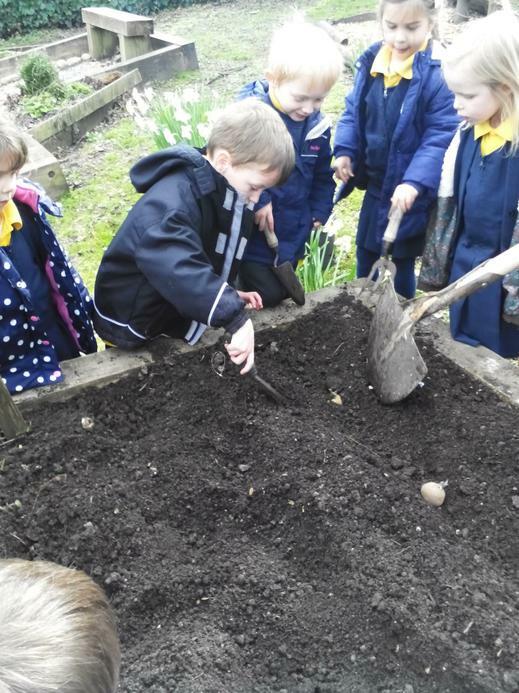 Giant class were very excited by this and came back into the classroom full of enthusiasm about the potatoes! They also told me some great information about what will happen to them whilst they are growing. 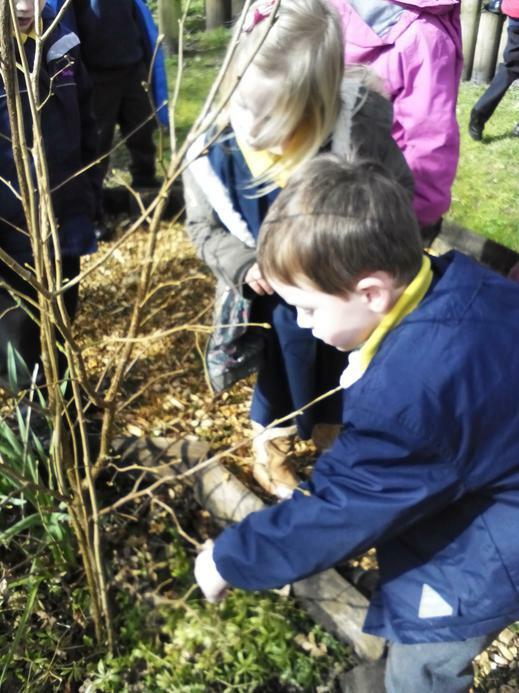 A big thank you to Mr and Mrs Barrett for your green fingers! 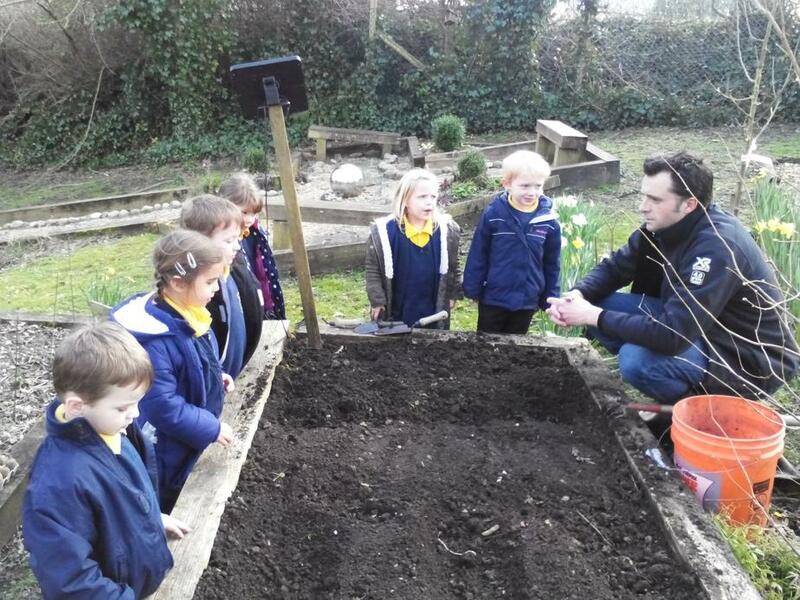 On Wednesday morning we had a visit from Martin, who came to visit us as a part of his Seasonal Schools Project. 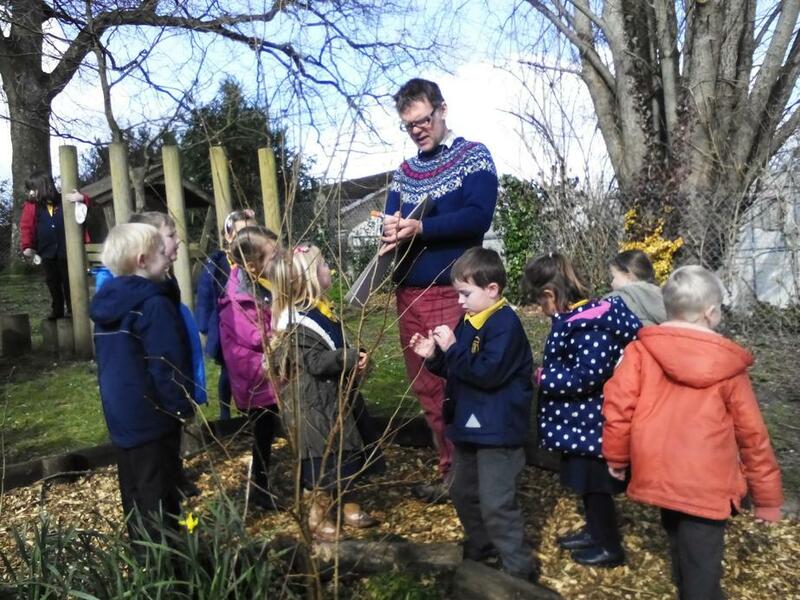 He came into Giant class and told some of his amazing stories and songs, this time linked to Spring, the children are just enthralled by him. 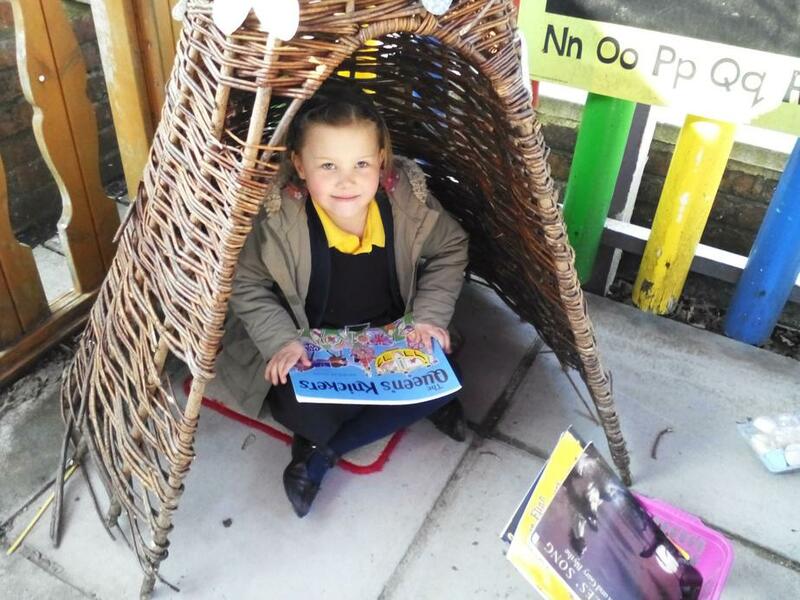 He is a true storytelling talent! 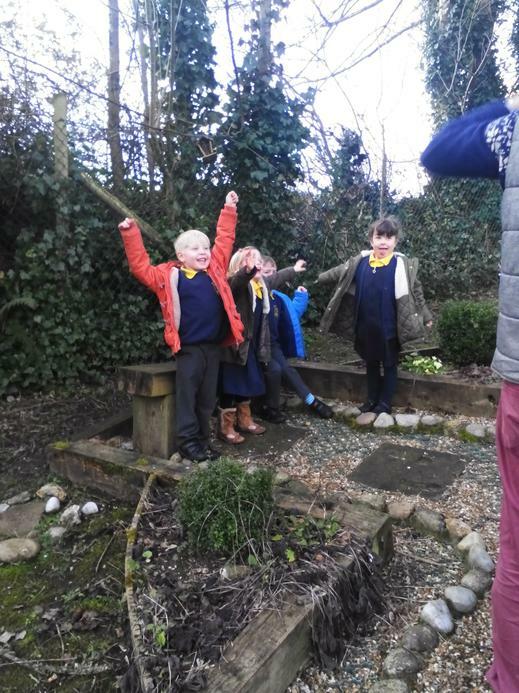 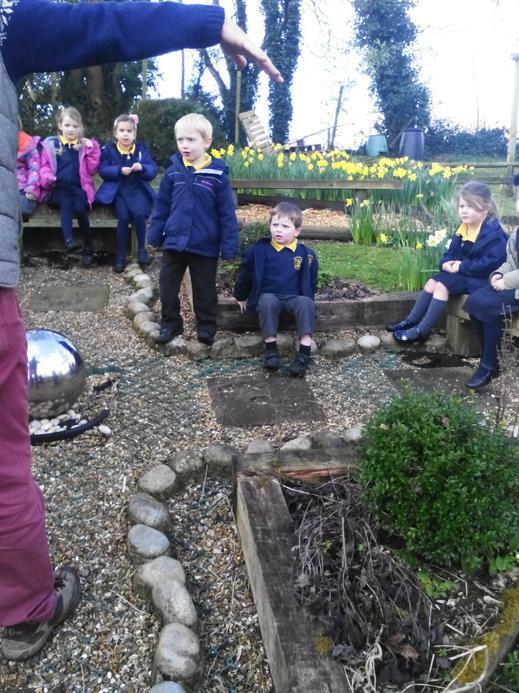 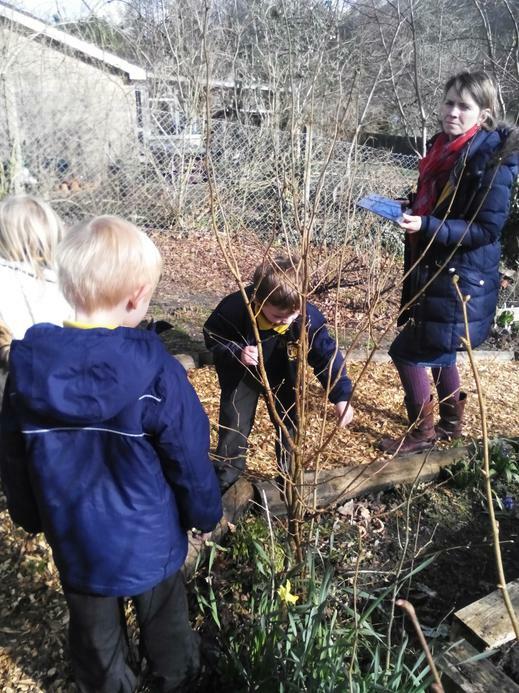 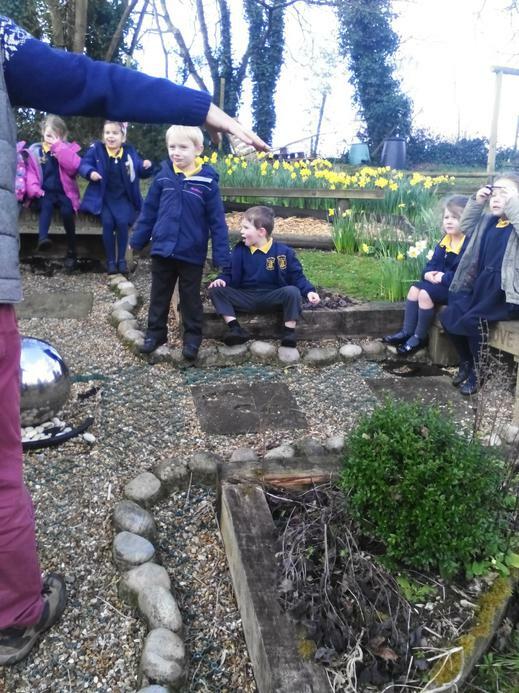 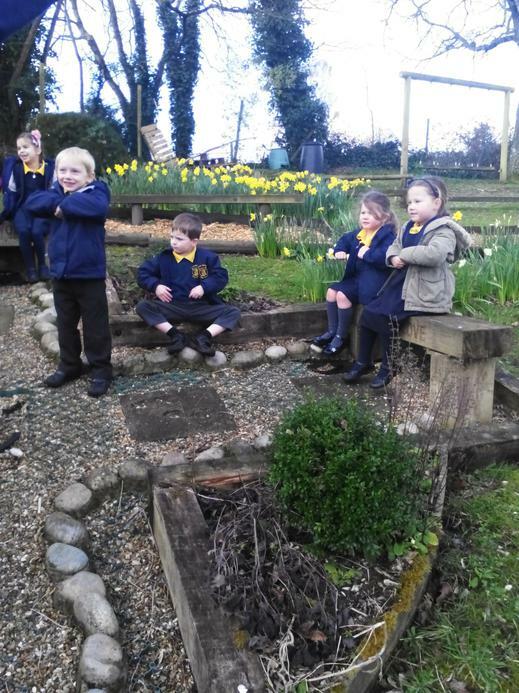 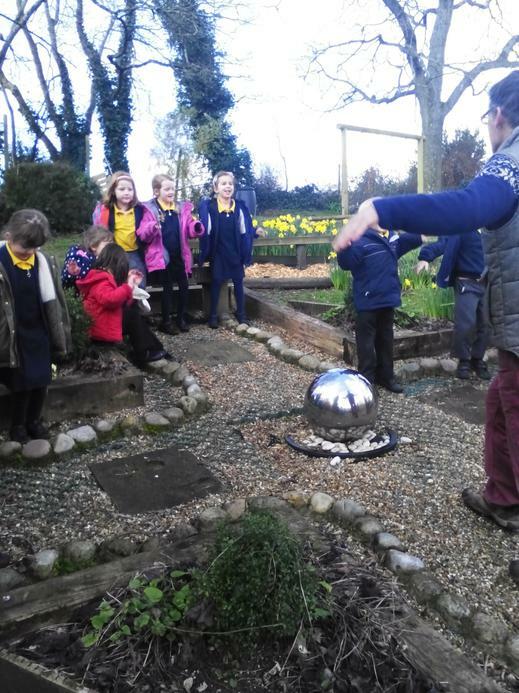 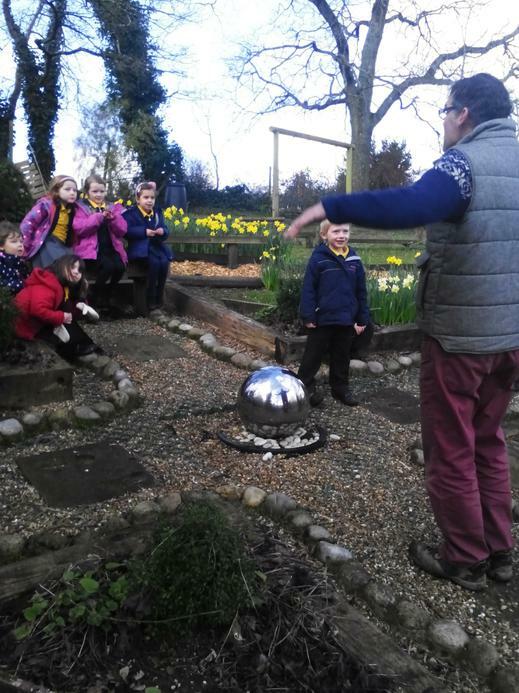 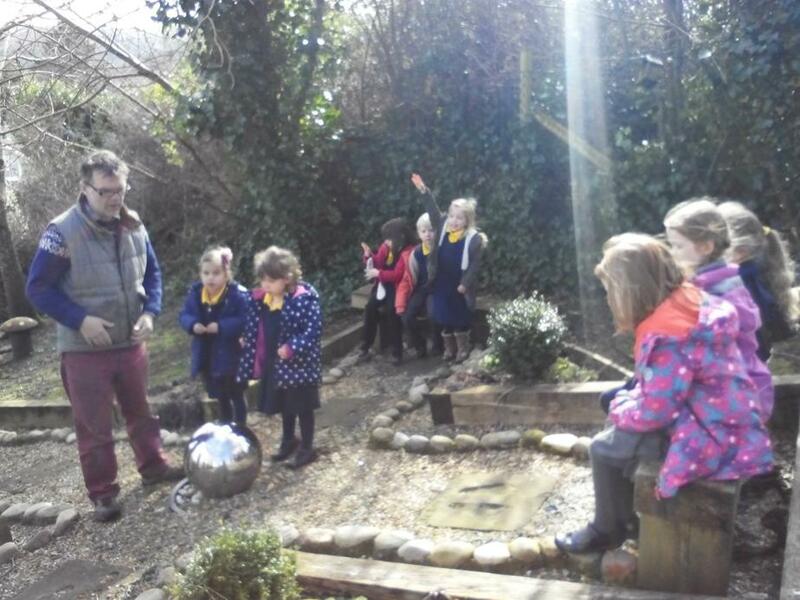 We then all went up to the Peace Garden where we looked for signs of SPring with all of our senses. 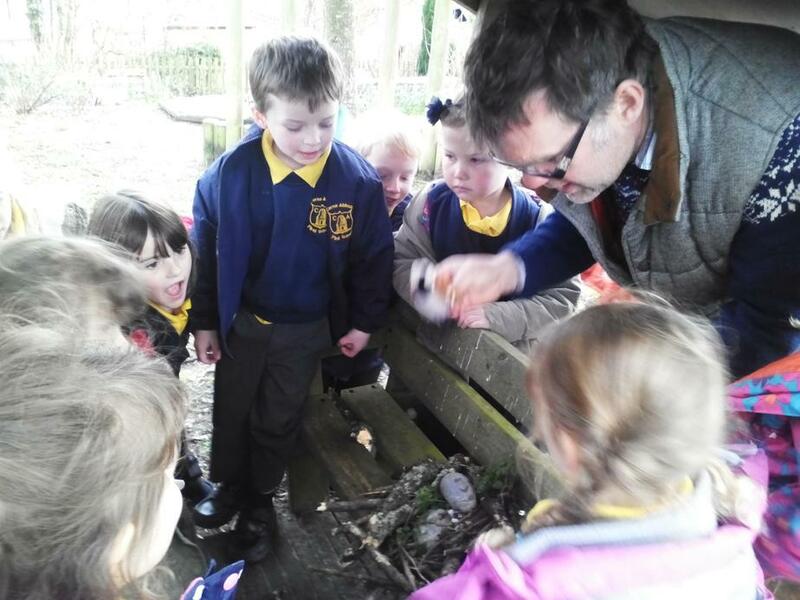 Giant class really impressed Martin with their knowledge about Spring and then helped to build a nest for Martin's 'bird' called Tweety! 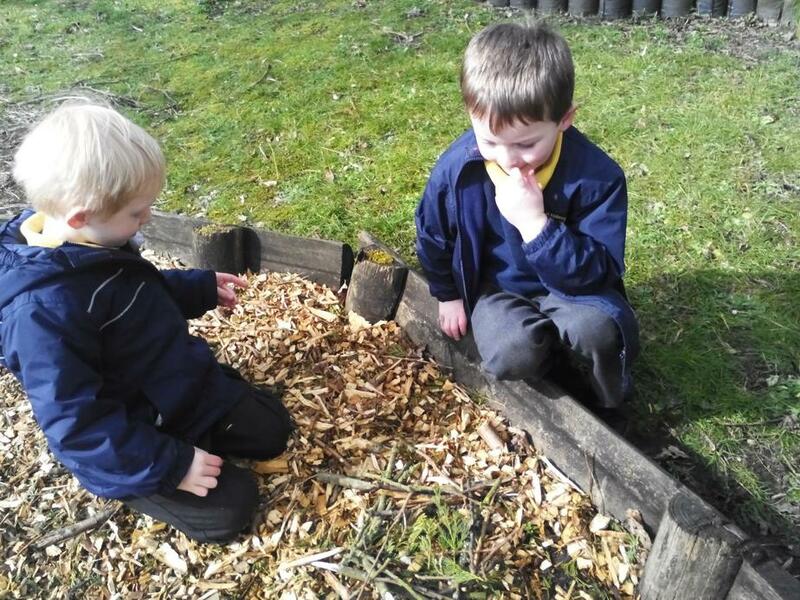 They made some very comfy and cosy looking nests! 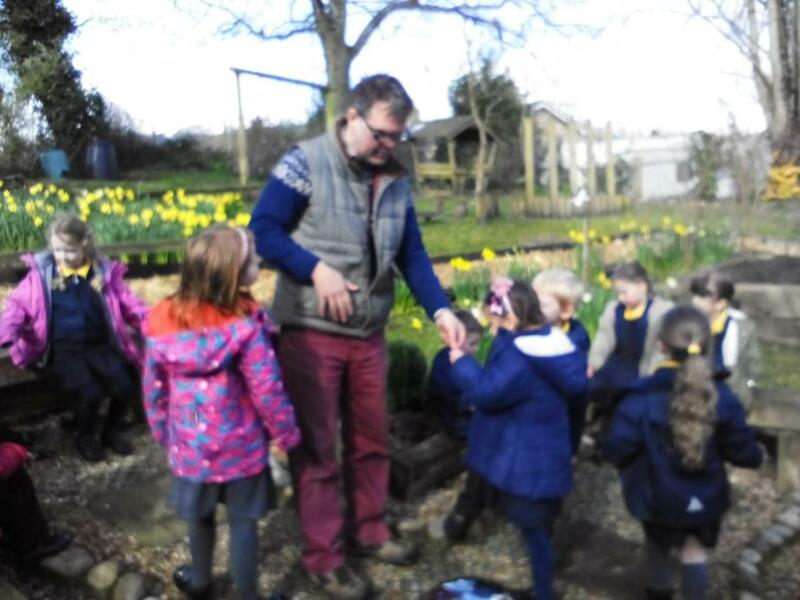 Thank you to Martin for coming in to help us learn about Spring. 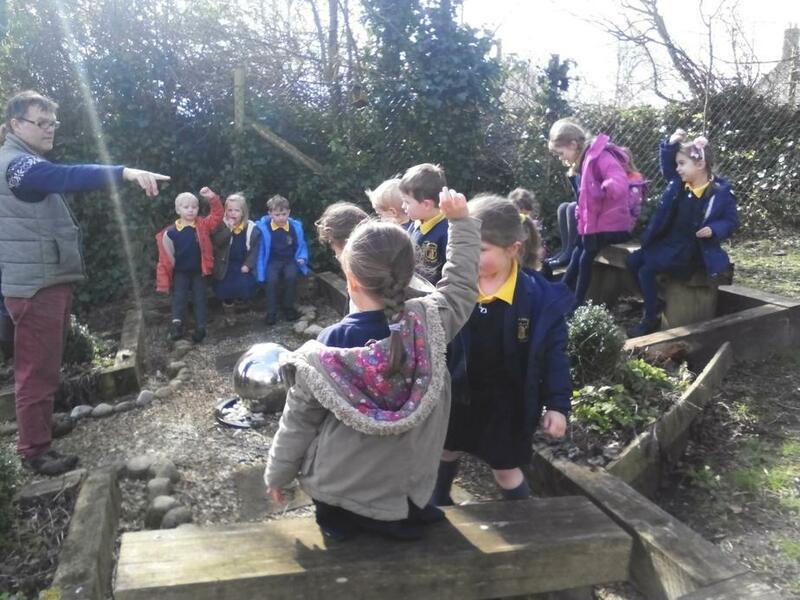 As you can see we have had a wonderful week learning outside! 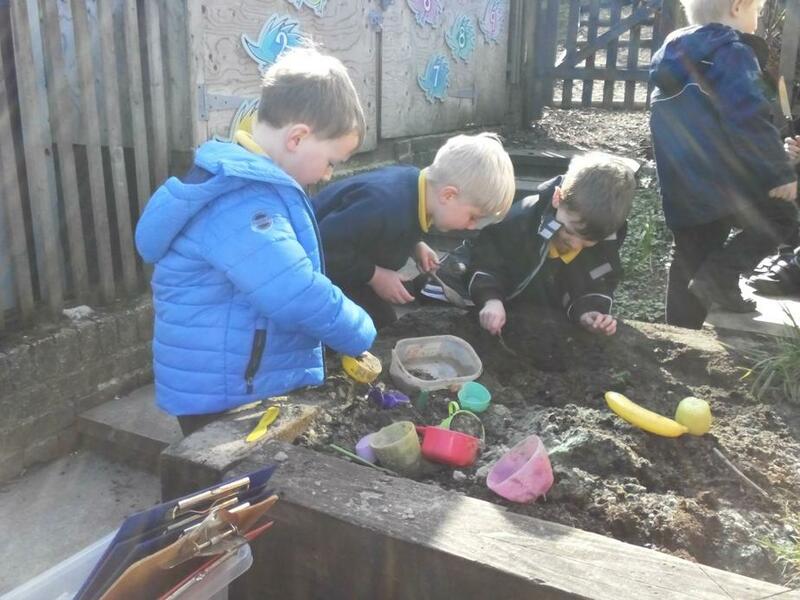 We have also managed to fit lots more learning in...! 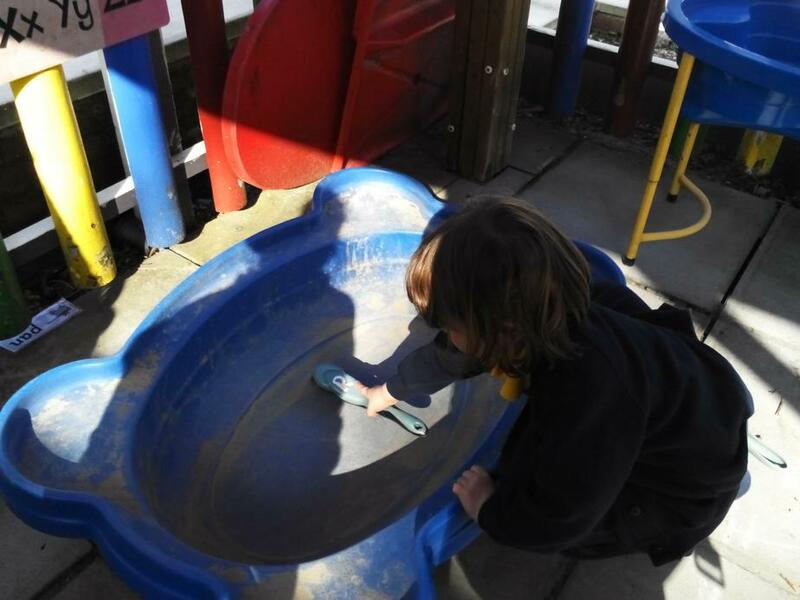 In phonics this week we have been reading and writing words and sentences with the er and the ure sound as well as practising writing tricky words. 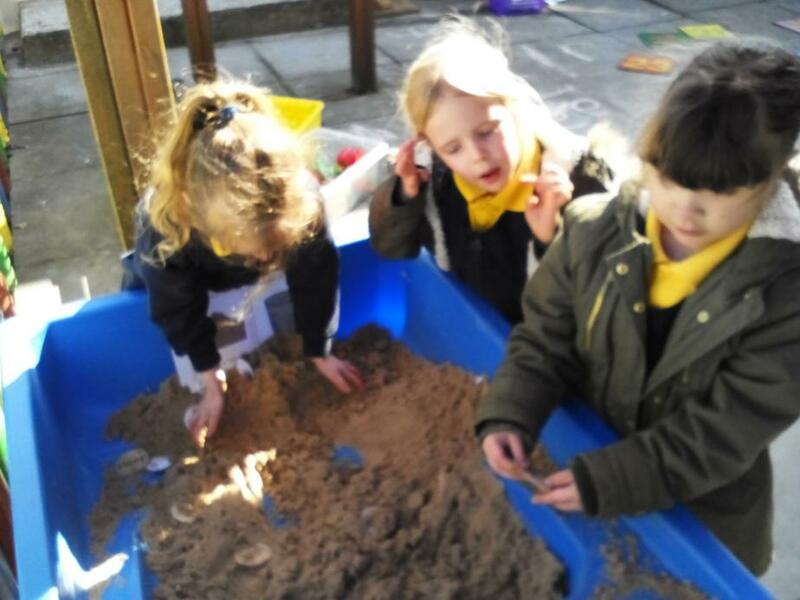 In Maths this week we have been having fun adding creatures feet linked to our topic storybook, adding with shells and pirate treasure! 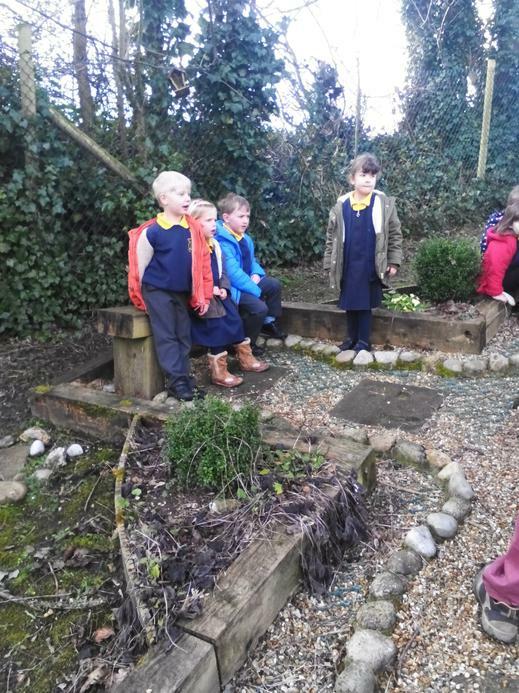 We have also been preparing for our Easter Service next week which the children are looking forward to! 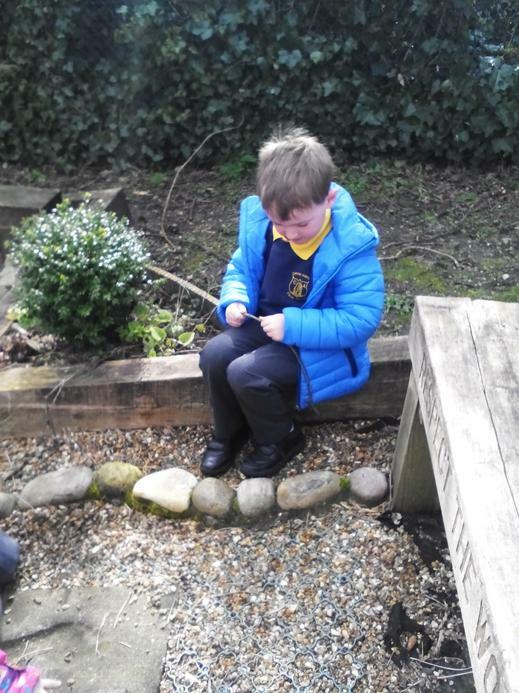 My goodness, we have had a busy week!